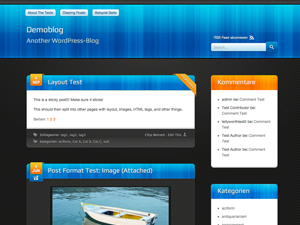 Here i am providing some excellent free wordpress theme for you. 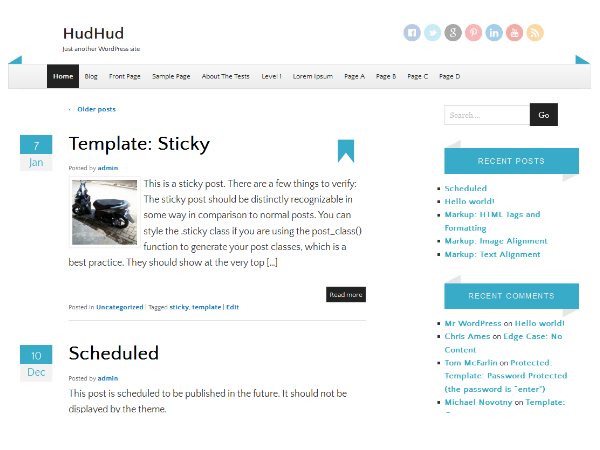 Please check all WordPress theme preview and get the suitable one for you. 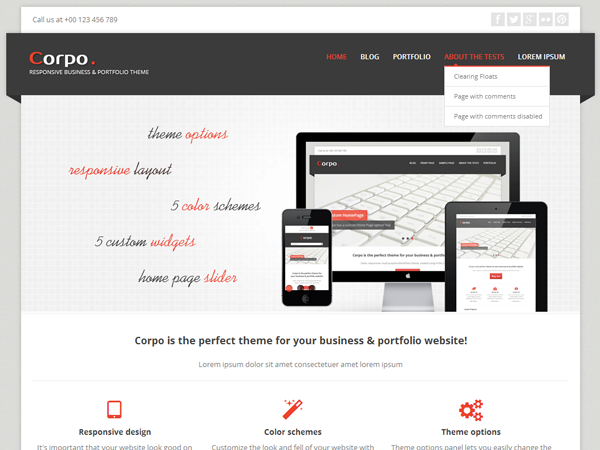 Corpo is a responsive business & portfolio theme which can be used for personal or corporate website. It features slider on the home page, 5 custom widgets, 2 menu locations and theme options to easily manage your website. Corpo also offers additional Portfolio custom post type to showcase your work. A clean and elegant personal blog theme from ThemeJam. 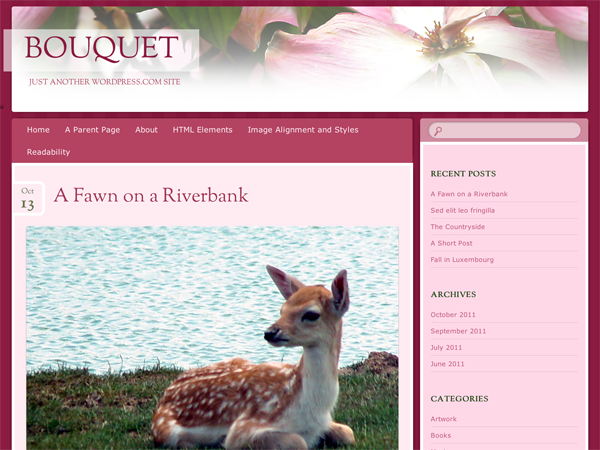 Bouquet is an elegant, simple theme inspired by the beauty found in flowers. Notable features include two floral schemes, a responsive layout structure that adapts to smaller devices, a right sidebar, a full-width template, support for post formats, custom background, and custom header. 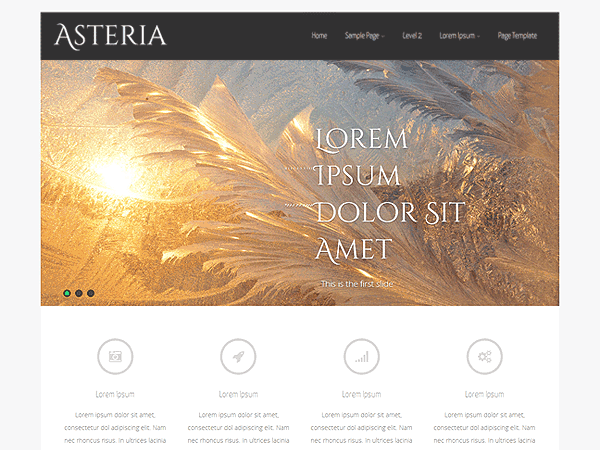 A snazzy WordPress theme with some glassy effects – now without bubbles! You can choose between an orange or blue sidebar or use both colors and up to three widget areas in the footer. On top, it supports left and right sidebars, featured posts, multiple post formats, is translation ready and comes with a custom editor style. Irex Lite is a responsive business & portfolio theme which offers a powerful Options Set to customize it to your own needs. 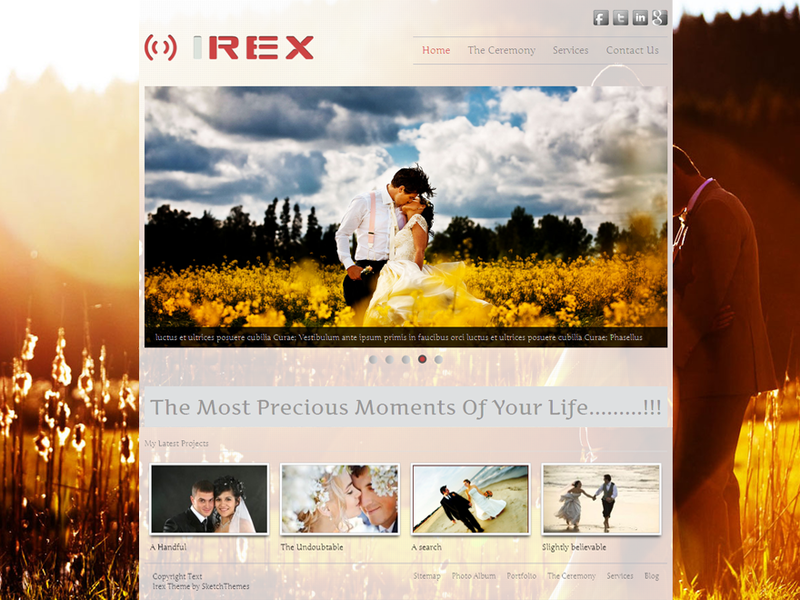 Irex Lite can be used for personal as well as corporate websites. It is simple and beautiful with numerous theme options like two different layout option(full width and with sidebar), 3 widget areas, custom follow us and contact widget, Logo, logo alt text, custom favicon, social links, rss feed button, custom copyright text and many more. It is compatible with various popular plugins like All in One SEO Pack, WP Super Cache, Contact Form 7 etc. Irex is one click install and translation ready as well. Theron Lite is a fully resonsive all in one WordPress theme with 3 awesome fonts, slider, background image and easy to use theme option panel. The Theme also includes 3 built-in widgets and 5 useful shortcodes. The theme is SEO Friendly and has plenty of user-friendly options. The theme also comes with a Blog page, Full-width page, Left Sidebar Page, Home Page Layout Template and a Contact page Template which doesn’t require any setup. 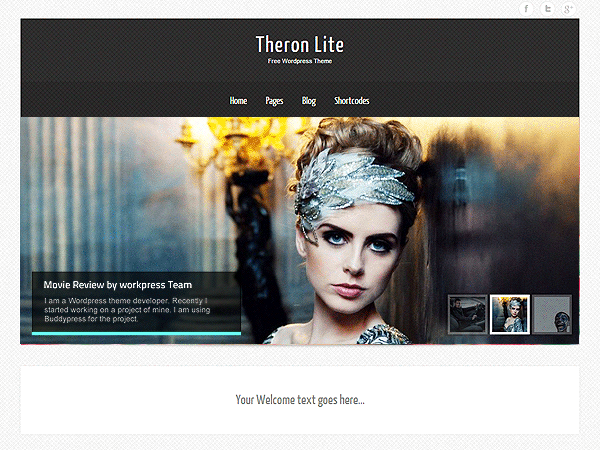 Theron Lite is suitable for any business or personal website. The theme is optimized for mobile browsing (iPhone, iPad and Android Devices). 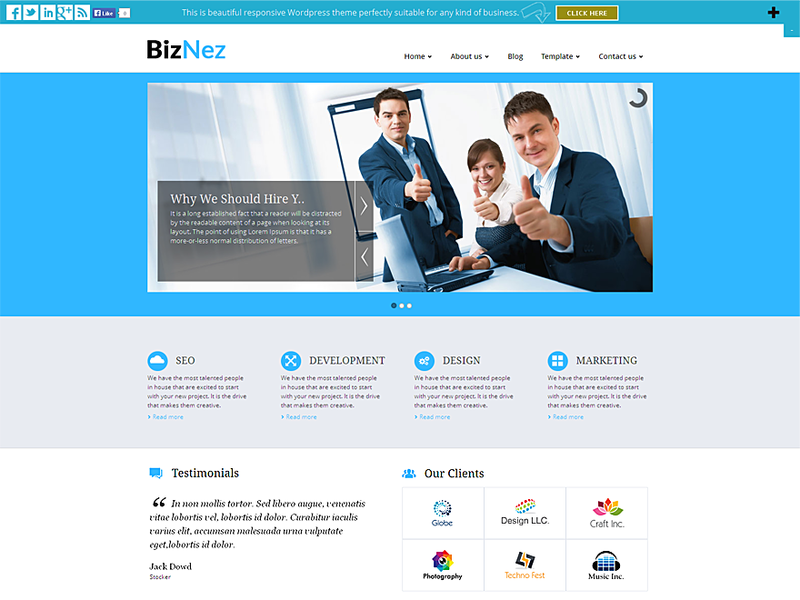 Biznez Lite is a minimal, responsive and Elegant Business theme with easy Admin Options Panel. BizNez Lite is a modern and flexible business and portfolio theme which offers one click install and easy to use Admin Options Panel. Biznez Lite theme can easily be customized according to your needs. 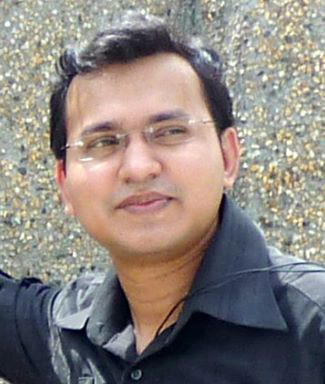 You can use own custom logo, logo alt text, custom favicon, add social links, rss feed icon, own copyright text etc. And all this can be easily managed from Biznez Lite Theme Options Panel. BizNez Lite supports widgetized areas, featured images and it is translation ready as well. You can use this to create any type of website be it a business website, a portfolio website, a nonprofit organization website, a landing page, an education website and so no. 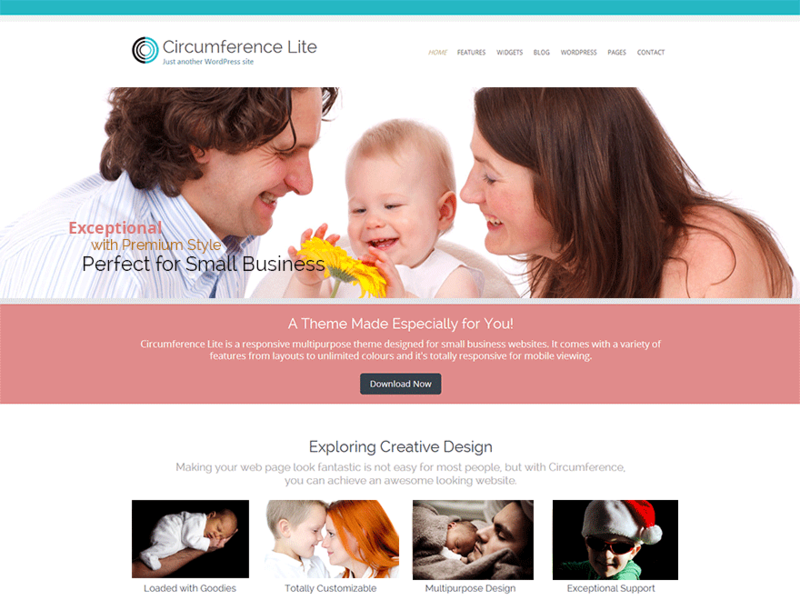 Perfect for small businesses, Circumference Lite is a responsive, exceptional theme with clean design and a significant list of features like unlimited colours, full width or boxed page layouts, 14 Widget Positions, extensive theme options using the WordPress Customizer, font based icons, custom gallery styling, a large selection of beautifully styled Post Formats, page templates, several site title/logo options, translation ready, retina ready, built-in social networking, and a child theme that you can install and use for customization, plus much more! This post has already been read 12683 times! Just amazing.. thanks for sorting out some nice themes. Great Work & good collection. Waiting for next. Good Collection!!! Thanks for nice posting. I hope you should find some more for this current year and those are completely compatiable for updated WordPress version. Cheers !!! I genuinely adore your sites.. Very good colors & theme collection. 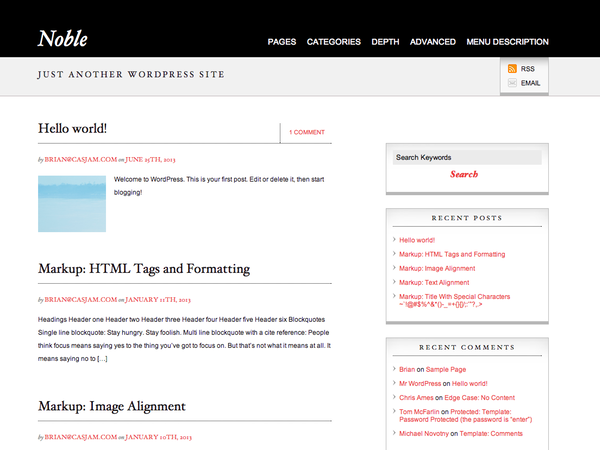 Great wordpress list theme I will use one for my website.